Noble Dairy Queen can be found on Facebook at www.Facebook.com/OriginalDQ. 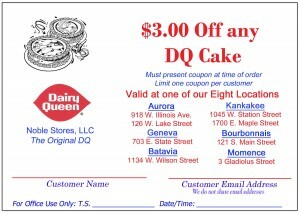 It is also a great way to keep up with the latest offerings @ DQ – check it out! Thank you for visiting our website. 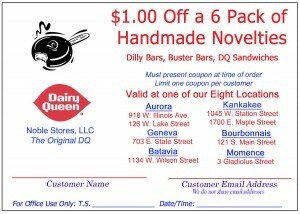 Please enjoy these coupons for your next DQ purchase!